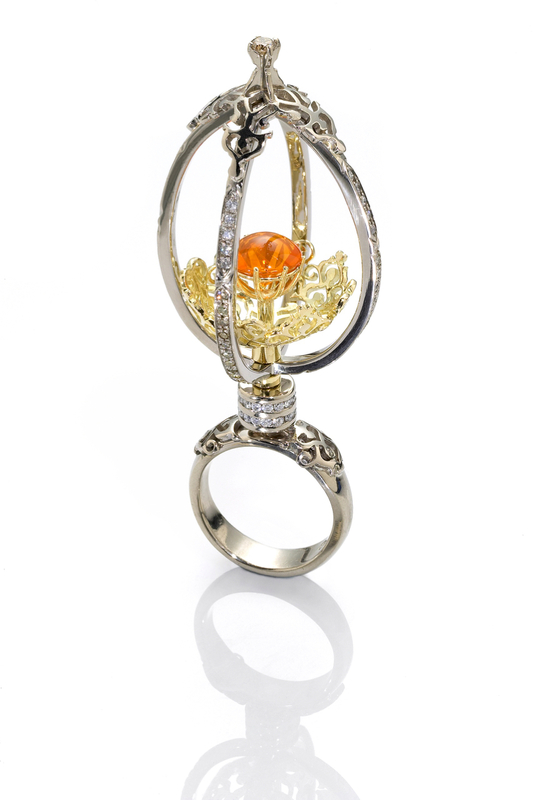 18kt yellow and white gold, buff-top fire-opal,white & champagne diamonds. We are often asked about how tall or high a ring should be off the finger. Here we wanted to push this as much as possible, to th point we felt would be too far. The fire opal is a notoriously delicate gemstone, and while we absolutely love it’s colour, it is something that needs to be protected in a ring. And what better way to protect than in an egg, It even looks like a yolk. A hint of an homage to the world famous Fabergé.